In House Builders is a full service design build firm, focusing on energy efficient design, and clean organic lines that provide a mountain modern flare. We pride ourselves on the simplicity of our design, allowing the bold and raw structural elements of the home to stand out and enhance the style and look. In House Builders seeks to create homes that package the Owner’s vision with the most sustainable features of a building site – we are constantly looking for that opportunity to utilize solar gain and innovative cutting edge design elements on every project. Our goal is to create functional spaces that work for you, and at the same time developing a budget that fits your financial picture. With In House you not only have the designer, but you have the builder looking over the systems and working together from the beginning. Our team is very effective and knowledgeable with construction systems, resulting in the creation of efficient and sustainable homes that are well thought out. Our design build team is here for you as a client – we want to understand your needs and ideas and help you make them a reality. Allow us to manifest your dream home. 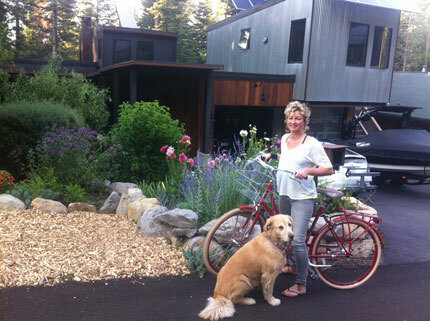 Have you created your vision and dreams here in Tahoe and have your ideas already thought out and created? Allow In House Builders to make your dreams and hard work a reality – let our customer service and unique style of homeowner centered building philosophy make your vision tangible. We have the ability to take your project from plans to reality – we have the proven experience in field to create realistic budget expectations and make them realities. Provide us with the opportunity to connect you with clients we have done this for in the past. In House Builders has been focusing on energy efficient homes and sustainable design for the past fifteen years. We are a full service design build firm, centered on passive solar design, energy efficient systems, indoor air quality and sustainable building materials. 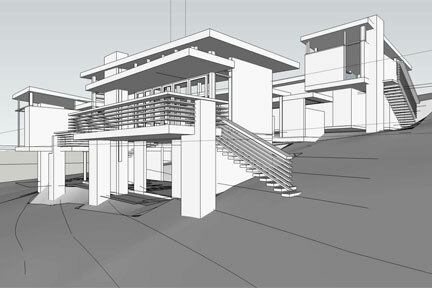 We strive to bring creative and innovative design to every custom home or remodel we do. Quality craftsmanship, customer service and attention to detail are the priority. We strive to build our clients’ cutting edge, healthy, cost-effective homes that stand out in the green industry. 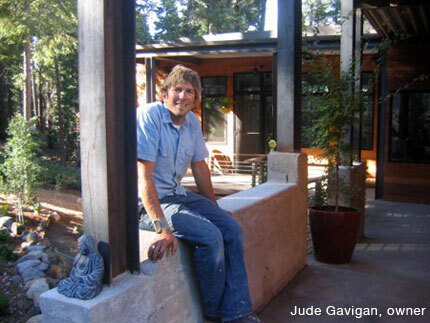 In House Builders is working hard to be the new model of design and construction, utilizing green building and sustainable design methods to bring beautiful and functional homes to the Tahoe region. 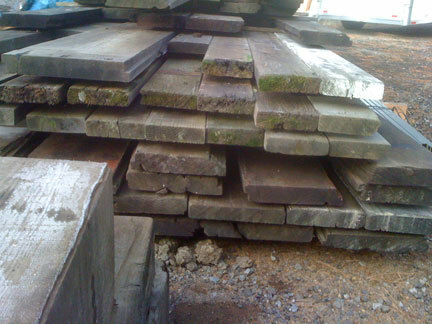 In House Builders takes pride in the reuse and recycling of materials. We strive to salvage the maximum amount of material from existing homes, and then repurpose and utilize that material in a creative way. We utilize innovative and imaginative ways to incorporate reclaimed woods, materials and metals throughout our projects – this gives our finishes a unique and attractive flair, and supports our green ideals. In House Builders strives to use locally sourced materials; this eliminates long distance travel costs and enables us to be a competitive and more sustainable company. We take pride in our design, sourcing and installation of reclaimed and repurposed materials and enjoy the added design elements they bring to almost any project. 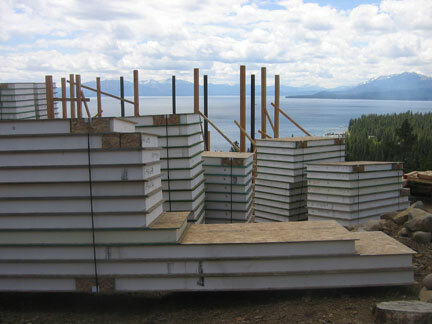 In House Builders is a leader in SIPs home construction in the Tahoe region. The use of SIPs construction provides our clients with a superior green building method – resulting in energy efficient homes that are warmer, stronger, and more suited to the Tahoe climate than traditional stick-framing systems. Utilizing the SIPs construction method allows In House Builders to provide their clients with an advanced product for the same cost of less-efficient traditional methods when labor savings are factored in. The use and application of this sustainable product in our homes is just one way In House is a leader in constructing energy efficient and green homes here in the Tahoe area.